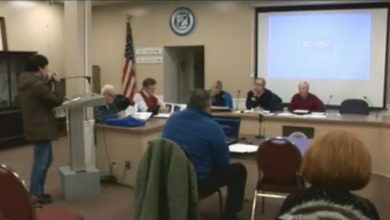 In the midst of turmoil over the Tiverton Town Council’s determination to appoint a specific person to be a full-time planner for the town, resident Donna Cook applied, as a volunteer, to fill one of two vacancies on the Personnel Board. The Personnel Board selects the candidates from whom the council must choose when appointing people to paid positions, and there has recently been inside controversy over the fact that the board didn’t put forward a name that council members appear to have wanted to see. Partly as a consequence of that conflict, the board wound up two members short of the five that the Homerule Charter requires. Three people volunteered to fill those two slots, with one of them being Nancy Roderick, the wife of Council President Edward Roderick. According to Mrs. Cook, Council Member Jay Lambert called her the day that the council was going to conduct interviews (agenda here) and encouraged her to withdraw her name. She says that he told her she had no chance and would be embarrassed not to get a position. Obviously, with two available positions, her withdrawal would clear the way for Councilor Roderick’s wife, making it seem as if the council had no option but to appoint her. Council President Roderick reacted very strongly almost as soon as Mrs. Cook began to speak. All she said was, “I received a phone call today that a decision was already made on who would be voted for for the Personnel Board.” Immediately, Roderick stated, “Mrs. Cook, I’m going to stop you right there,” very quickly escalating to an attempt to have her removed from the podium. He didn’t ask for additional information or say that she had been told wrong. He tried to shut her down. That’s very difficult to explain if Roderick didn’t know that Lambert had called her and why he had called her. No council members seemed shocked, only defensive. Council Vice President Denise deMedeiros did chime in, pretty quickly, to say, “That phone call was hearsay, and we don’t know what you’re speaking about. It was hearsay from somebody in the community, and it’s inappropriate…” deMedeiros didn’t finish her sentence, but it’s clear that she was suggesting that it was inappropriate for Cook to state hearsay from the podium, not that it was inappropriate for somebody to call her. deMedeiros did not ask how the person from whom Cook received the call could possibly know the council’s intentions, and she did not say, at the outset, that it wasn’t true. She also did not seem surprised when it came out, a moment later, that “somebody in the community” was actually the council member sitting two seats to her right. 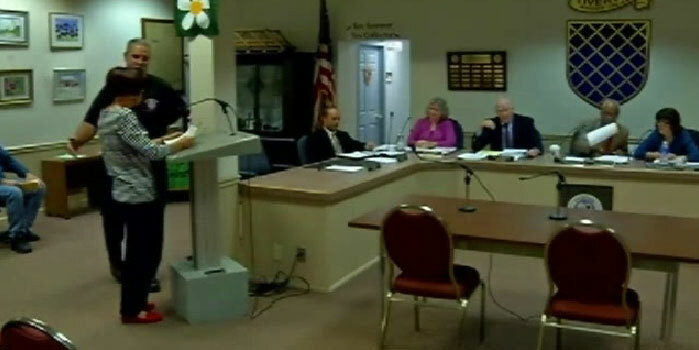 In fact, not a single person on the council spoke up to express concerns about Lambert’s behavior. Their focus was on Cook’s audacity at raising the issue. That’s also difficult to explain if what Cook was saying was news to them. Lambert went straight to accusations that Cook was lying, rather than seeking to address what he ought to have seen as a misunderstanding. Again, not a single council member spoke up to suggest that Cook should be permitted to speak and that what she had to say should be considered sincerely. In fact, over the course of seven minutes, nobody on the increasingly agitated council (other than Lambert) thought to assure Mrs. Cook that his or her mind had not been made up or that he or she had never given Lambert any reason to believe that it was. Lambert ultimately admitted the essential substance of Cook’s complaint. A former lawyer, Lambert chose his words carefully when he stopped calling the woman in front of him “a liar” and responded, but he also substantively admitted that she was not lying. He further gave credibility to Cook’s testimony inasmuch as he effectively acknowledged that he didn’t call either of the other two candidates for the position. If his motivation were to maximize volunteerism, avoiding the difficult situation of denying somebody a volunteer position, why wouldn’t he call the other two people who made this one a three-way race? At the very least, why not suggest it to the wife of a person with whom he’s served on the council for many years? That, too, is difficult to explain if the council (or at least members of it) weren’t trying to manipulate the volunteer and hiring processes.